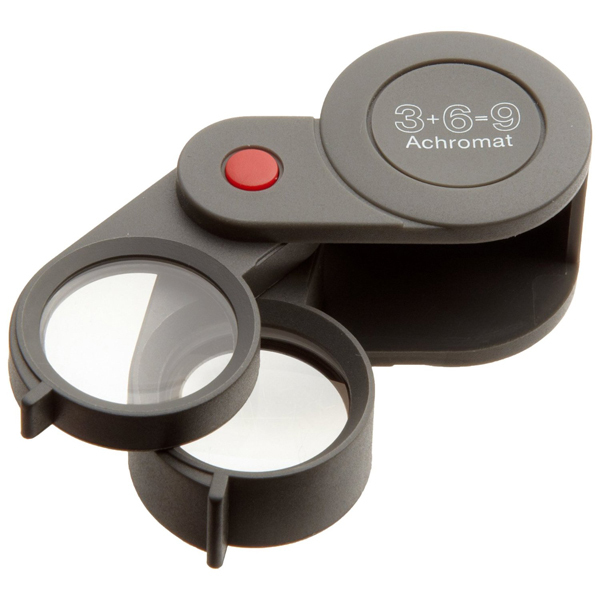 Two achromatic, coated, glass lenses, provide a color-aberration free image. A total of 9x magnification with one 3x lens and one 6x lens. The body is made of reinforced glass-fiber durable polyamide. The air tight body prevents dust, which produces scratches, from entering. achromatic 3 x + 6 x = 9 x distortion-free image.